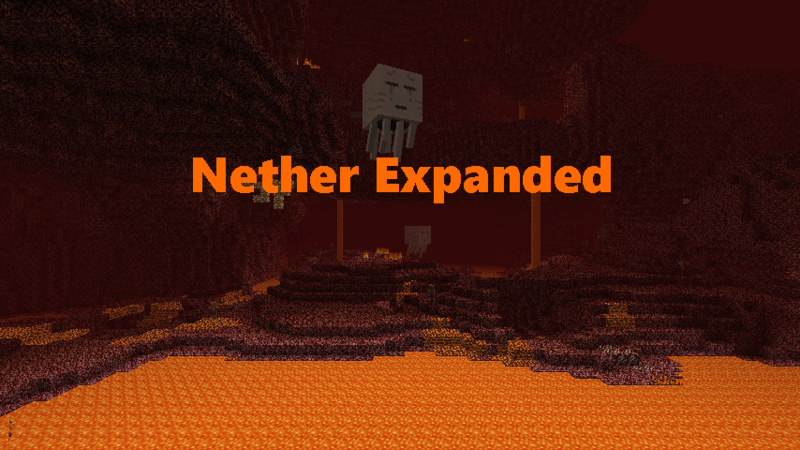 The Nether Expanded is a moderately sized mod that adds more Nether related content, with more coming in the future. Because this mod has lots of recipes, I highly recommend you also download Just Enough Items. This mod adds in 4 new mobs (3 hostile, 1 boss), 7 new blocks, 2 sets of armor and tools, new recipes for vanilla items, and lots of items. Below will be some information regarding some bigger parts of the mod. Fire Spirits spawn in the Nether, normally in groups. They are stationary when not bothered, but will move at a quick speed when a player is nearby. They have 20 HP, do 5 damage, and will set the player on fire if touching the spirit. They drop mostly drop fire shards while occasionally dropping molten chunks, molten helmets, magma cream, and molten plates. Demons are armored, player shaped enemies that wield golden axes. These guys have about 30 HP and hit like a truck. Demons drop underworld fluid and rarely drop gold armor, gold axes, and demon skulls. Shadow spiders are very fast mobs that do moderate damage. They normally aren't in groups, the most together is around 2 or 3. They drop silk and the rare shadow boots, which give a speed buff to the wearer. 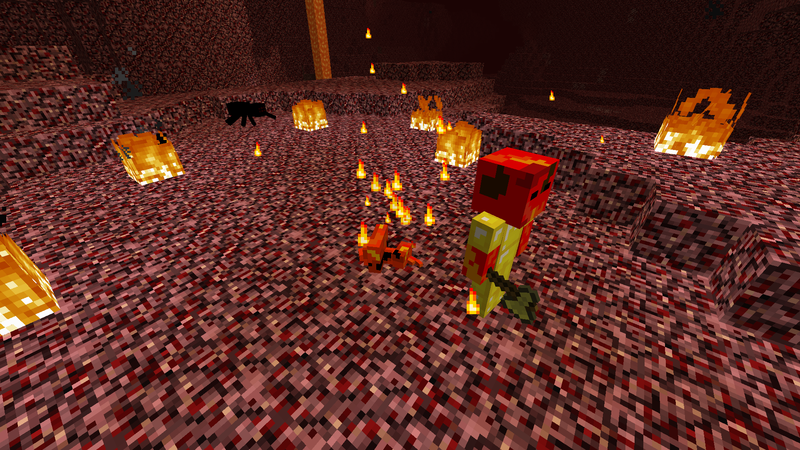 FUN FACT: Shadow spiders are the only Nether enemy vulnerable to fire and lava. 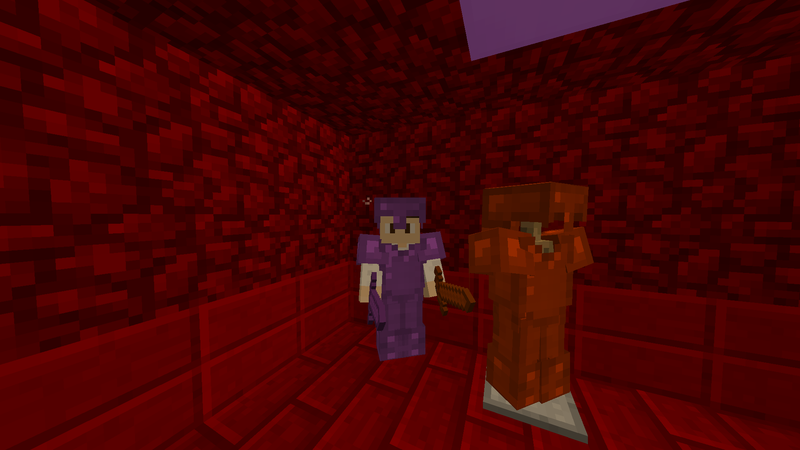 The Spirit of Herobrine is an end game boss harder than the Wither or Ender Dragon. He has 500 HP, hits like an even bigger truck, and summons vexes and rarely wither skeletons and ghasts. When he dies, he drops 8-12 spectral ingots, a couple golden apples, a ghostly core, and occasionally, a spectral sword. 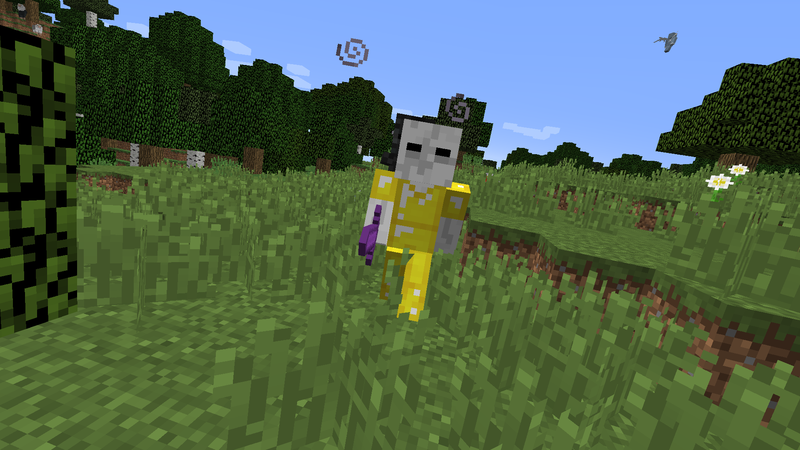 When he dies, several wither skeletons will be instantly summoned to avenge their master's second death. Molten plates are crafted by surrounding a diamond with 8 molten chunks. 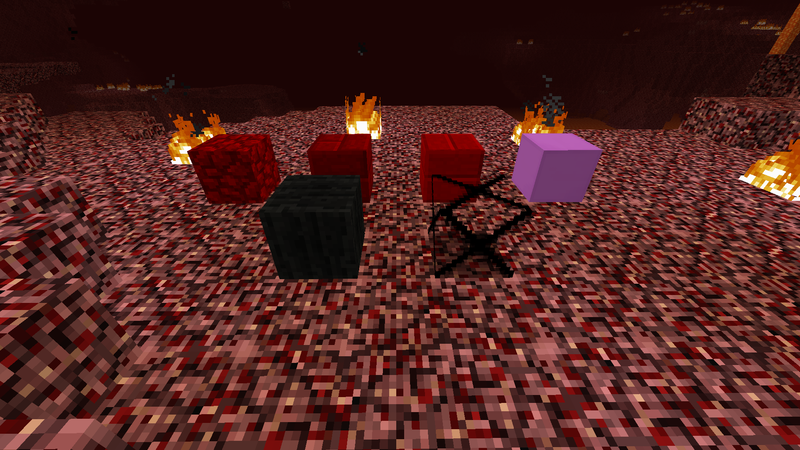 Molten chunks are smelted down from magma blocks in a furnace. Molten plates and fire shards can create molten armor and weapons, which are stronger than diamond. Molten armor is the strongest set of armor obtainable without slaying a boss. Molten boots give the player fire resistance. To create a full set, you need 5 fire shards and 19 molten plates. Molten tools are stronger than diamond and are slightly faster than gold tools (which are quicker than diamond). To create a full set of tools excluding the hoe, you'll need 7 obsidian, 3 fire shards, and 6 molten plates. Spectral armor is the strongest set of armor in the game. Each armor piece gives a buff to the player. It is crafted with 24 spectral ingots, which are obtained by the Spirit of Herobrine. Spectral tools are stronger and faster than molten tools. To craft all tools excluding the hoe, you'll need 7 underworld fluids, and 9 spectral ingots. Withering sand has some of the most unique properties of any block in the game. You can walk through it and it is affected by gravity. When stuck in withering sand, you will get wither 3 and slowness 3. Wither sand can be crafted by surrounding a wither skull with sand or red sand. Silk blocks are transparent blocks that trap mobs inside them. If you get stuck in a silk block, you'll get slowness 10, preventing you from moving at all. You'll need to mine your way out of it. Silk blocks require 9 silk in the crafting table. The Demonic Token is used to summon Herobrine's Spirit. To craft it, you'll need 1 demon skull, 2 diamond blocks, 2 gold ingots, 2 bones, and 2 silk blocks. The ghostly core is a drop from Herobrine's Spirit. It allows you to create a super powerful tool, the drill, which is by far the fastest "pick axe" in the game. To craft the drill, you'll need 1 ghostly core, 1 spectral pickaxe, 4 diamond blocks, 1 redstone block, and 2 spectral blocks, crafted with 9 spectral ingots. Nice mod! Also, the description is very well-written. Why i think he stealed my idea from my mod "Miner's World" with Molten Tools and Armor? Molten Armour is a common idea, It isn't necessarily copied.